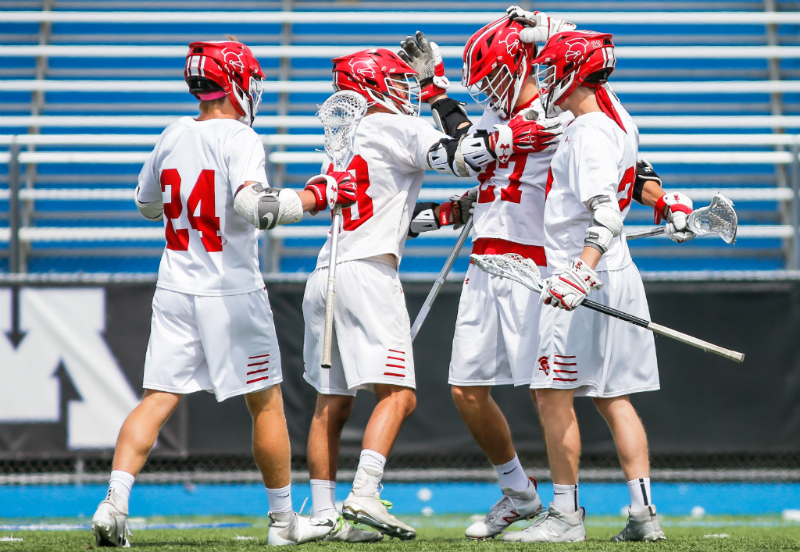 State runner-up Benilde-St. Margaret's proved its mettle this season, rolling 17-0 into its second straight state title game behind a group of seven players who finished the year earning all-state honors. The Minnesota State High School Boys Lacrosse Coaches Association releases the teams, which were selected by a panel of state coaches, on June 21. Red Knights goalie Buzz Williams and sophomore defender Jack Rigley earned first-team honors. The two were pieces to Benilde-St. Margaret's stifling defense that allowed 4.56 goals per game this season. Metro West Conference foe Chanhassen also had two first-team picks in attackman Cole Grindberg (52 goals, 34 assists, 86 points) and midfielder Jadon Kerry (28-12-40). The duo helped the Storm start the year 7-1, and the team finished the regular season with five consecutive victories despite losing Kerry to an injury. He returned to the lineup for the final two postseason games, but Chanhassen could not get past Minnetonka in the Section 2 title match, losing 9-7. Holy Angels' first-team tandem of attackman Jason Kraus and faceoff specialist Spencer Sande proved integral to the Stars' success. Kraus led the state with 86 points in the regular season, while Sande's dominance in the circle (won 83 percent of faceoffs) supplied his team with plenty of opportunity. The all-state teams are selected by a panel of state coaches.